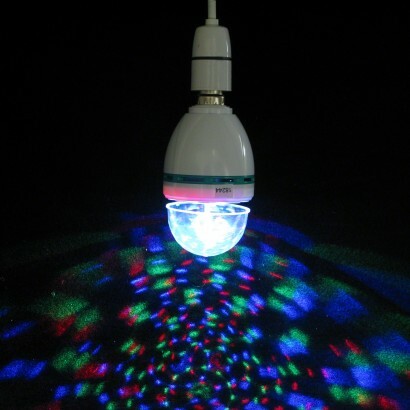 This amazing light bulb simply plugs into a standard bayonet fitting (B22) lamp socket, and then produces an amazing lightshow that reacts to sound. 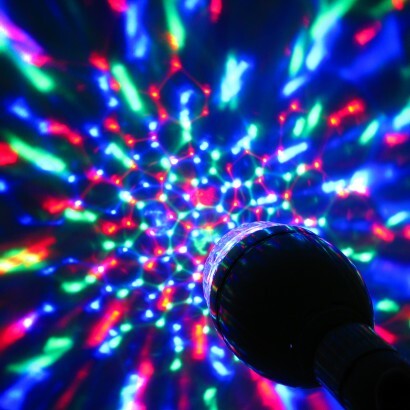 Music with a good bass works really well, but a clap or a shout will just work just as well. 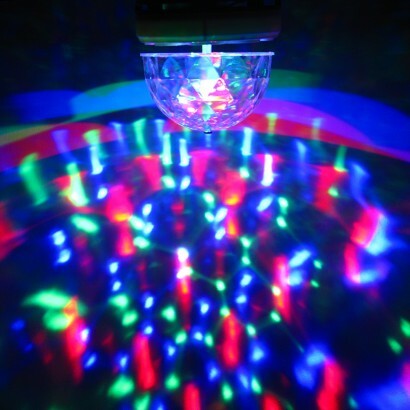 These bulbs are great for parties, you would be hard pressed to get this much funky lighting in a unit so small! 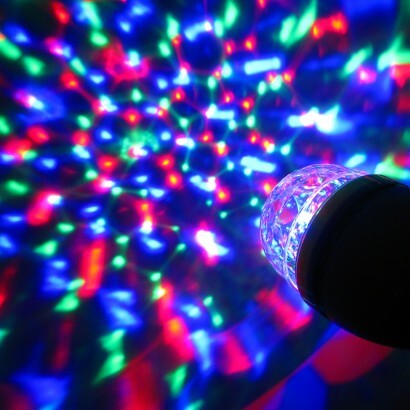 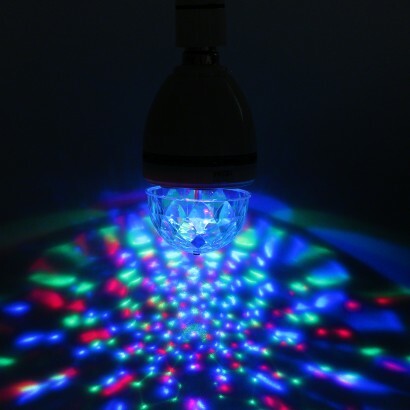 Uses only 3W of power and and generates next to no heat, the bulb is supplied by a UK leading educational and sensory company, so apart from being a brilliant disco light, it also makes a super affordable product for sensory rooms.